KUALA LUMPUR: DRB-HICOM Bhd is drafting plans to turn Pulau Rebak in Langkawi into a holiday magnet for the rich and famous. The group wants to develop a "boutique" luxury holiday concept there to match the likes of The Residences at W Bali, Bvlgari Residences and Banyan Tree Ungasan in Bali, Six Senses Private Residences in Vietnam, The Yamu in Phuket, W Residence in Koh Samui and St Regis Saadiyat Island Resort in Abu Dhabi. "The time has come for Malaysia to have luxury holiday residences that can woo the rich and the famous globally to pick Pulau Rebak as their preferred holiday destination," DRB-HICOM group managing director Datuk Seri Mohd Khamil Jamil said in a statement yesterday. Mohd Khamil said Pulau Rebak's strategic location and the government's plan to upgrade the holiday haven to be on par with the world's top holiday islands would serve as a catalyst to its aspirations. "The launch of the Langkawi Tourism Blueprint by Prime Minister Datuk Seri Najib Razak recently, entailing an estimated RM5 billion investment over the next five years, was a welcome initiative. "I'm confident with the blueprint, coupled with the cooperation and participation of all parties, the government's estimate to double tourism revenue to RM3.8 billion via the arrival of three million tourists to Langkawi by 2015 will be realised," Mohd Khamil added. The absence of an ultra luxury concept property development on a local holiday island has provided an opportunity for DRB-HICOM to explore the prospect, he said. "We have been discussing the Pulau Rebak development plan since 2009 and the feedback received from international development consultants, residential property owners and world-class holiday companies is very encouraging," Khamil added. New hotel rooms at the Singapore Marriott will have Eames Desk Chairs as dictated by Tang Holdings chairman Tang Wee Kit. Tang Holdings will invest RM78.4mil (S$32 million) in the refurbishment of Singapore Marriott Hotel on Orchard Road. It is the largest renovation project to date, in the luxury hotel’s 16-year history, and is already underway with Phase One nearing completion. Phase One of the property renovation includes the make-over of the hotel lobby, now called the Marriott Great Room and removes traditional architectural barriers dividing the lobby space into warm open-plan zones where guests can choose to work, relax, drink or dine. The front desk is set against a dramatic, oriental-inspired fretwork, reflecting an Asian influence which interior design firm Hirsch Bedner Associates (HBA) will weave throughout the property, blending east with west. The second phase of the renovation is currently in progress and consists of a major overhaul of the hotel’s popular Marriott Cafe, Crossroads Cafe and all guest rooms. The project will be completed by April next year. Rooms will take on a neutral colour palette with bold accent fabrics. Most notably bathrooms will be reconfigured to offer guests greater space with a large walk-in waterfall shower and resting bench as well as extended vanity area, while the newly-installed 46-inch Samsung Full-HD Smart TVs provide guests entertainment experiences. Two signature 1956 leather and enamelled Eames Desk Chairs will be a prominent feature in each new guest room, personally selected by Tang Wee Kit, who has worked closely with HBA to fulfill his desired new look. A number of aesthetic changes will be made to Crossroads Cafe whilst Marriott Cafe will undergo a complete renovation. 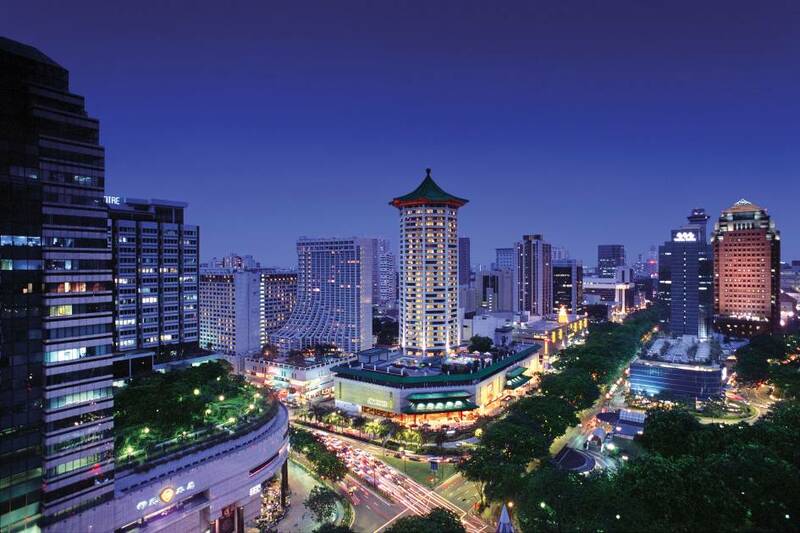 The Singapore city centre hotel opened in 1995 and has been the recipient of a number of awards and accolades. The property recorded 39,243 guests in 2010 and will complete another successful year this month. SINGAPORE: The heavier stamp duties announced last week may have already dented Singapore's standing as a major property investment destination while giving rivals such as Hong Kong a boost, said analysts. Britain-based consultancy Black Brick Property Solutions said it has received inquiries from Asian and overseas investors who had been thinking of investing in Singapore property, but who have been deterred by the new tax rules. Other property agencies said they expected more clients to ask about their investment options after the festive period. The new measures unveiled last week included an extra stamp duty of 10% on a home bought by a foreigner a move expected to dampen foreign demand while increasing interest in markets such as Britain and Hong Kong that do not have restrictions on foreign buyers. Camilla Dell, managing director of Black Brick Property Solutions, said: “Stamp duty can be significantly reduced in Britain if the property is owned in a company name. Buyers pay very little or no tax on the acquisition.” She added that the tax system was more favourable, particularly for overseas investors who pay no seller's or capital gains tax if they were not British residents. This gives them a tax break of 28% when they sell their properties. Julian Sedgewick, director of international residential sales at Savills, said: “London, in particular, could stand out because of the good currency exchange rate between the pound and the dollar”. The exchange rate is 1 to about S$2. Hong Kong is looking attractive too, because of the government's adoption of a non-intervention policy, meaning no restrictions are placed on foreign property investments. Its government also recently said it might reverse some of the property cooling curbs if the economic situation worsens. Another spin-off from the stamp duty move could be that foreign developers and agencies might get more aggressive marketing their properties here as investors in Singapore look elsewhere, said Chua Yang Liang, head of research at Jones Lang LaSalle (JLL). These include buyers from Indonesia, Malaysia, India and China. “Businesses are still investing in Singapore and the country is still considered an attractive place to work, live and visit,” said Chua. PETALING JAYA: I-Bhd has entered into a 30:70 joint venture (JV) with Everbright International China to co-develop 30 acres in i-City, Shah Alam. “The development will be done in two phases. Phase one, involving 14 acres with a GDV of RM1.5bil, will comprise a one-million-sq-ft shopping mall and two-million-sq-ft mixed residential, MSC (Multimedia Super Corridor) offices and educational institute. “The second phase has a GDV of RM2bil involving 16 acres,” group CEO Datuk Eu Hong Chew said at the joint venture agreement signing ceremony yesterday. The event was witnessed by Housing and Local Government Minister Datuk Seri Chor Chee Heung and Chinese Ambassador Chai Xi. Eu said phase one was expected to be completed in 2016 or 2017 while the whole project, with a GDV of RM3.5bil, was expected to be completed by 2020. Construction works are expected to start next year. “We have developed half of i-City already and the balance would be developed by Everbright,” Eu said. Apart from financing the construction, Everbright would also lead a consortium of Chinese companies to set up operations in i-City. 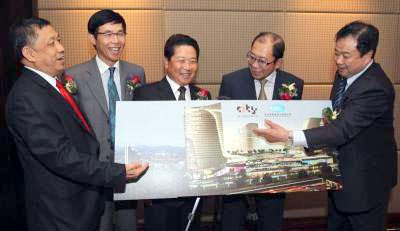 “We will be investing RM2bil with I-Bhd to develop i-City's commercial project,” Everbright chairman/CEO Zhang HuaiPu said. There have been several major investments from China recently. Last week. China's Shougang group announced a joint venture with Hiap Teck Venture Bhd to build an integrated steel complex in Kemaman, Terengganu. Aluminium Corp of China has recently entered into a JV with Gulf International Investment Group Holdings Sdn Bhd and UAE-based business leader Mohamed Ali Rashed Alabbar to develop a US$1.6bil (RM5bil) aluminium smelting plant in Sarawak. PETALING JAYA: I-Bhd yesterday entered into a strategic alliance with China-based Everbright International China to co-develop 12.14 hectares of land in i-City via a joint venture. Everbright will have a 70 per cent shareholding in the venture. I-Bhd, in a statement here yesterday, said it will hold the balance stake. Apart from financing the construction, Everbright will also lead a consortium of Chinese companies to set up operations in i-City, Shah Alam. The development will be undertaken in two phases involving 5.66ha for the initial phase and the balance 6.47ha in the subsequent phase. The first phase of the development is for a commercial hub with a gross development value of RM1.5 billion comprising a 92,903 sq m shopping mall and 185,206 sq m of mixed residential, MSC offices and educational institute. KUALA LUMPUR: Mah Sing Group Bhd has disputed its joint-venture partners' claims that the joint venture agreement (JVA) for the proposed joint-venture development on 4.08 acres along Jalan Tun Razak has lapsed. “Mah Sing, however, takes a different position and maintains that the JVA has not lapsed and as stated in our announcement dated Dec 6, has waived the conditions precedent 2.6.2(b), 2.6.2(c), 2.6.2(d) and 2.6.2(e) as set out in the announcement dated Aug 2. “Mah Sing's solicitors have today issued a letter to Asie's and Usaha Nusantara's solicitors inter alia maintaining this position. “Together with the letter, Mah Sing's solicitors also returned the RM6.4mil deposit (with interest earned thereon) attempted to be refunded by Asie and Usaha Nusantara as Mah Sing is unable to accept the refund of the deposit,” it said. Mah Sing had in August this year secured the development rights for a 4.08-acre parcel along Jalan Tun Razak-Jalan Pahang, which formerly housed the Pekeliling flats. Mah Sing's wholly-owned subsidiary, Grand Pavilion Development Sdn Bhd, had entered into a joint venture agreement with privately-held Asie Sdn Bhd and its unit, Usaha Nusantara Sdn Bhd, to undertake a niche development named M Sentral with a potential gross development value of RM900mil. KUALA LUMPUR: SP Setia Bhd's request for an extension to fulfill some conditions for its proposed acquisition of 1,010.5 acres in Ulu Langat, Selangor for RM330.1mil was not agreed by vendor, Ban Guan Hin Realty Sdn Bhd. According to SP Setia, in filing to Bursa Malaysia yesterday, conditions precedent included the approval of the Estate Land Board to be obtained for the sale and transfer of the said land to the purchaser. “The purchaser is currently seeking legal advice on its position under the sale and purchase agreement and will seek the appropriate relief from the court, if necessary,” it said. SP Setia had planned a mixed development for the land and was committed to building starter homes priced from RM300,000 onwards. LONDON: Britain's housing market is likely to stagnate in 2012, with low interest rates offset by a squeeze on household budgets, according to mortgage lender Halifax. In its outlook for next year, Halifax said it expected house prices to end 2012 in a range of down 2% to up 2%. Prospects for Britain's economy were “particularly uncertain” but the likelihood of the Bank of England leaving interest rates at a record low 0.5% for the foreseeable future would help support the market, it said. “Overall, we expect continuing broad stability in house prices nationally during 2012. Prices are again likely to end the year at levels close to where they begin with the market continuing to lack any real direction,” said Halifax economist Martin Ellis. However, demand for homes would be constrained by rising unemployment and the weak outlook for growth. “These pressures will come from a combination of subdued earnings growth, high (but falling) inflation, the substantial fiscal tightening that is taking place and an ongoing rebalancing of household sector finances with many families seeking to reduce their debts,” Ellis said. Meanwhile, Britain had 11% more houses valued at 1mil or more available for purchase in the third quarter than it did a year earlier, Investec Specialist Bank said in a report yesterday. WASHINGTON: The Federal Housing Finance Agency said it was suing the city of Chicago to prevent it from enforcing a recently amended ordinance dealing with vacant properties. FHFA said it was acting on its own behalf and as the conservator for Fannie Mae and Freddie Mac and said it had taken the action reluctantly after trying unsuccessfully to work the issue out with the city.